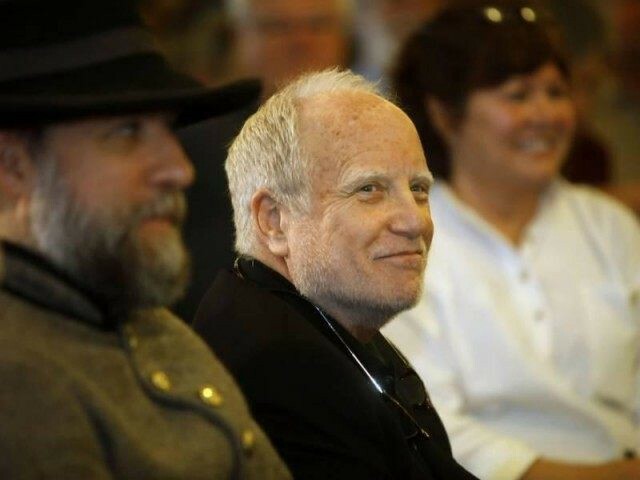 My father, actor Richard Dreyfuss, is taking heat for attending a Ted Cruz rally. I shouldn’t have to write this, but here goes: curiosity is not a sin. My father went to a Ted Cruz rally. My father also won an oscar in the 70s and his name is Richard Dreyfuss. Those two things are only related because by virtue of being famous, my father’s attendance at a Cruz rally got written about by a couple of media outlets. Those write-ups were absorbed by a number of mouth-breathers, and so began The Dumb. Let me clarify. When asked if his being there suggested he supported Cruz, he responded, “It suggests that I’m interested in what he has to say… It’s the politics of my country, so I’m interested.” This seems like a pretty clear answer to me. I don’t necessarily endorse these views, but I’m curious about them because they are poised to have a very big effect on me and my country. But clarity be damned, the same day as those articles were published I started getting calls and complaints asking me why my father was a Ted Cruz supporter. This is where we should leave the story of “Richard Goes To Ted Talk” behind, and just start talking about the principle of the thing. I’m really not trying to talk about my dad. I just want to address The Dumb. It is not shocking that people mistake curiosity with support, but it is pathetic and it is tragic. I’m not saying all ideas need to be validated, or even respected. There are absolutely some beliefs that simply deserve to be tarred and feathered and never given the time of day. Bigotry falls under this umbrella. But when some ideas are so prevalent that they hold huge sway over your own country, you’re an idiot if you decide to stuff your ears with your fingers and start humming. If we shame curiosity, our country will never stop being scarred by the battle lines we draw to ward off the loony toon republicans or the batshit democrats. Exalt curiosity. Exalt the ability to hold someone else’s belief in your mind for a moment. You might find we disagree on fewer points than you thought, or you might find that this other person is insane and I am the God of right and wrong. I think that sort of certainty is always insane, but arriving there after actually engaging with an opposing opinion is the closest you’ll ever come to being right.